Personality: Roxas is a calm, easy-going person. He is verysmart and focuses mainly on Ninjutsu and Genjutsu. He protects his village and his friends with his life and gets along well with others. He is outgoing and most of the time very lucky but also curious of the world and his surroundings. Although curiosity is a fun trait of his it can sometimes lead to mischief and get him into big trouble. He is also very generous and normally happy, if he is sad or angry it normally means no good. He loves to play tricks on the Genin and may live a normal life as long as his Anbu Special Ops remains secret. He can form bonds easily and protects his friends with his life. He thinks of the village of Kiri as his family and will do anything to help or protect them. This is what he thinks being a true shinobi is. Protecting his family or killing his enemies he follows his own Shinobi Way, his own path, and he gets the job done no matter how hard the task no matter how uneven the odds, he trys again and again until he can no longer try any more. He refuses to accept the word "lose" or "failure" he was raised better than this, but such a determination may lead to him dying. He thinks of this as a noble sacrifice however and is willing to die for the Hidden Mist Village any day. He highly respects the Mizukage and wishes to one day become Mizukage himself. This is a very high achievment but it has yet to spur an ambitious streak within him. His mind and morals remain pure as he lives life like a semi-normal ninja. But nothing is ever normal for a ninja, and he wishes that he could just lay back and relax forever. But of course there would be no fun in that so he also enjoys sparring and training and especially making himself stronger. He wants to have an apprentice to teach and train in his own Shinobi Way so that it will live on throughout the ages of Kirigakure and prehaps longer. A Uchiha he may be, but his mind is not dark or emotionless like the most steoreotypical Uchiha. He is excited and playful and hates boring people who just sit around moping all day. the ability to activate the bloodline Sharingan eye. claws and is a powerful mongoose as for speed, agility, and strength. has it took years just to teach this one jutsu. Konoha was slowly becoming violent. Akatsuki mainly targeted them and often some ninjas were just bad or rotten. The Uchiha Clan, or some of them, also wanted to expand so Roxas's grandparents had decided what they would do. His grandpa, Tasno, and his Grandma, Shizu, both took a long journey to Kirigakure where they would settle and raise their family. Tasno was 36 and Shizu was 32. They were happy together and had heard that Kirigakure was a good place to live. After moving there they discovered that it was pretty okay besides the often misty climate and the low medical help. But they set up a home there anyway. After a while Both Tasno and Shizu had a child named Tatsu, who eventually married a beautiful woman named Nibu, and so the story of Roxas began. not soon after that, he was promoted to Anbu. 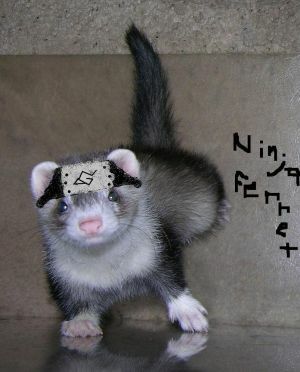 He was now eighteen and extremely skilled in Ninjutsu and Genjutsu. His father helped him train but no one knew of his secret Anbu identity but only though of him as a Jounin. But fellow Anbu knew his normal alias as Roxas Uchiha and most were his friend. He continued to protect Kirigakure with his life and he does so to this day. His father with him every step of the way. To approve it, I still need an RP Sample. it only has to be a few sentences. And Yes, I know how he RP's.